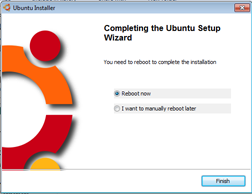 Many Windows users who are interested in trying Ubuntu are afraid of repartitioning their drives to set up a dual-boot (a dual-boot allows you to choose at boot-up whether you would like to use one operating system or another). 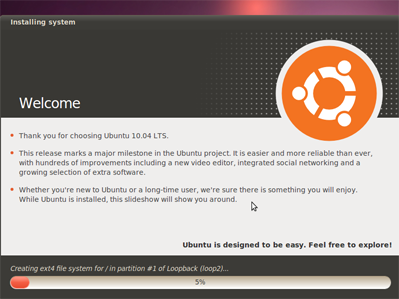 Yes, there are other options, like running the live CD or installing Ubuntu as a virtual machine inside Windows. 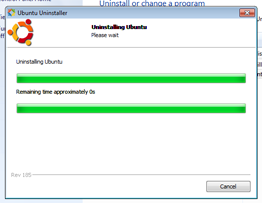 But it's also nice to know there is still another option—Wubi is a program that comes on the Ubuntu Desktop CD (otherwise known as the live CD) that allows you to install Ubuntu as a dual-boot by installing it as a huge file inside of Windows and then modifying the Windows boot loader to add an entry for Ubuntu. 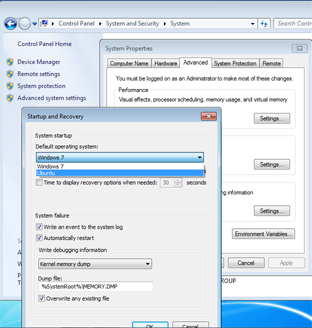 The nice thing about this approach from a Windows-user standpoint is that there is no risk of accidentally deleting your entire drive, you don't have to know anything about partitions, and you can easily remove Ubuntu from the dual-boot if you want to go back to a strictly Windows-only system. 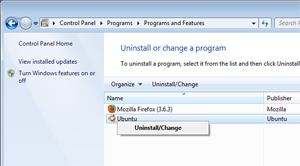 Apparently this is now called Windows installer. No biggie. It still functions the same way. 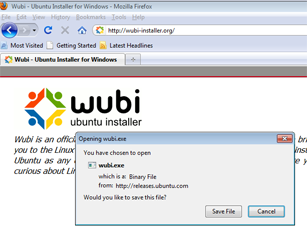 Go to the Wubi website and download the Wubi installer. 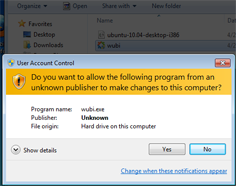 From your download folder, double-click Wubi and let it run. 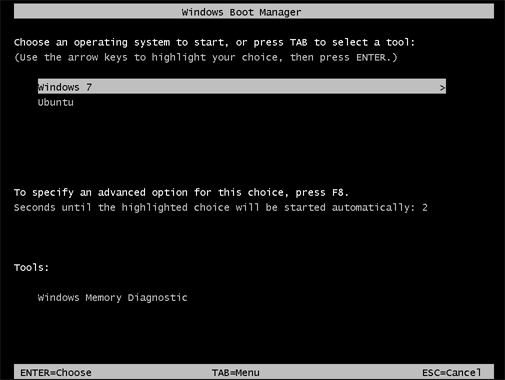 Go ahead and pick the options you want. 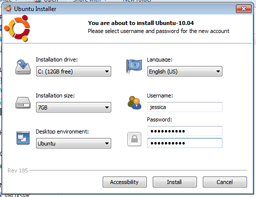 And be sure to enter a username and password before clicking Install. 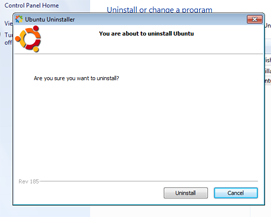 At this point (before you click Install), you have two options. 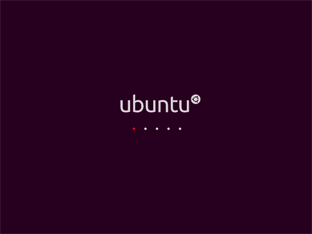 You can let Wubi download the Ubuntu disk image file for you, or you can make sure your own Ubuntu .iso is in the same directory as the Wubi installer. 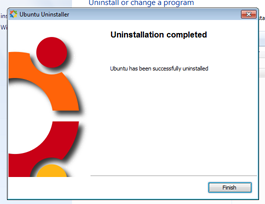 Keep in mind, there are different Wubi installers for different versions of Ubuntu. 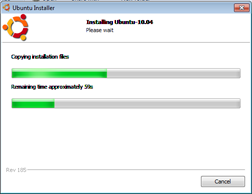 If you have the Ubuntu 11.04 .iso in the same folder as the Ubuntu 11.10 Wubi installer, Wubi will still try to download Ubuntu 11.10. 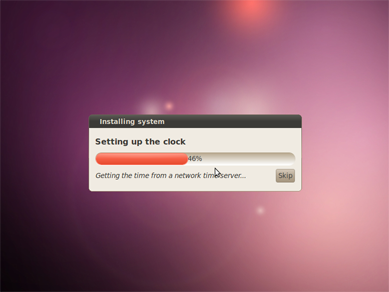 Wait until the processes to finish. 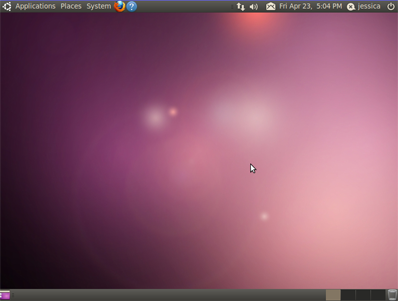 Now You have ubuntu desktop just enjoy..